I don’t think I’m alone in saying that unless I write something down, I’m likely to forget where I’m meant to be or what I’m meant to be doing! 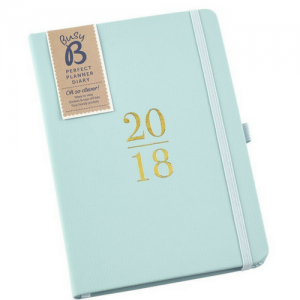 I’ve used a planner for years and it’s been a lifesaver, however over the last couple of years I’ve found that I needed something a little different. I work from home and have lots of work-related things to keep track of, as well as various appointments and school events for the children. 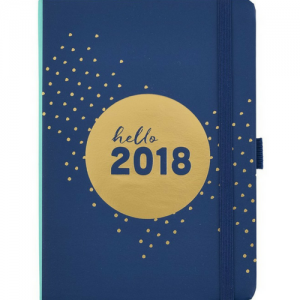 I found that I was struggling to keep track of it all in a normal planner, things were just getting muddled up and it was difficult to pick out the family stuff from the work stuff. Then, 12 months ago, I heard about Busy B diaries, planners & calendars. 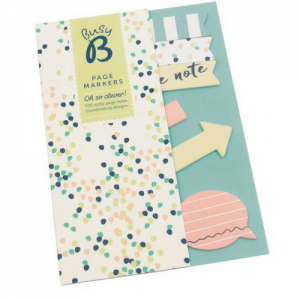 There is a really great variety of different products in the Busy B range. You can really find something to fit your individual needs. For me, I needed a planner that allowed me to separate work and family stuff. 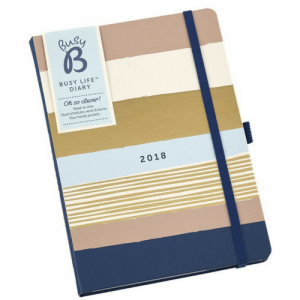 The Busy Life Diary has been perfect for this over the last twelve months, and I’ve just received the 2018 version. Each page displays one full week as a dual schedule, so you can use one side for you and one for the kids, or, if you’re like me, then I use the left hand side for work and the right hand side for family. I also jot down our meals on the right hand side too as I find it helps me to meal plan and get organised with the shopping too. 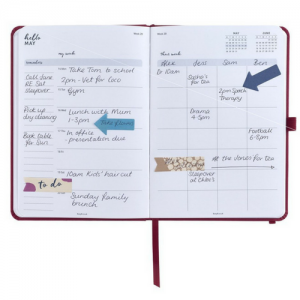 This family diary is perfect for keeping track of everyone’s appointments and important dates for the family. There is space for up to five schedules, birthday reminders and handy pockets for important bits of paper that you may otherwise lose in the bottom of your bag. 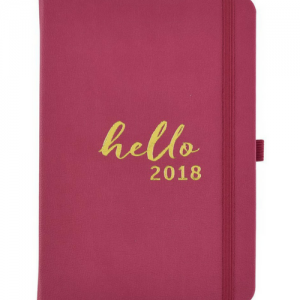 This diary is great for anyone who loves using lists! With a week to a page and tear off lists on the opposite page, this is a great way to stay organised! 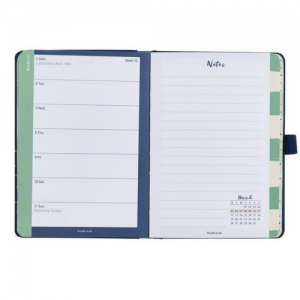 This Perfect Planner Diary comes with a handy mini notebook to help you to keep track, write lists and generally keep your life in order. The week is spread over two pages so there’s lots of room to write appointments and keep track of important dates. This diary also includes four pockets to store important bits and bobs. One of my favourite things about the Busy B diaries is the sticky marker accessories. I love them! This handy pack comes with 105 markers and slots into the back of your diary. 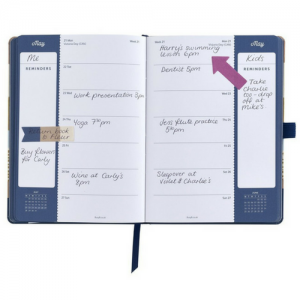 You can use them as page markers within your diary or to mark important points on any document.